One of 12 production still photographs from an unidentified silent movie drama, circa 1910. 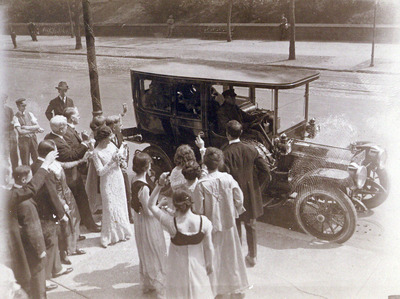 A chauffeur-driven automobile transports the couple. New York Central Park is in background.